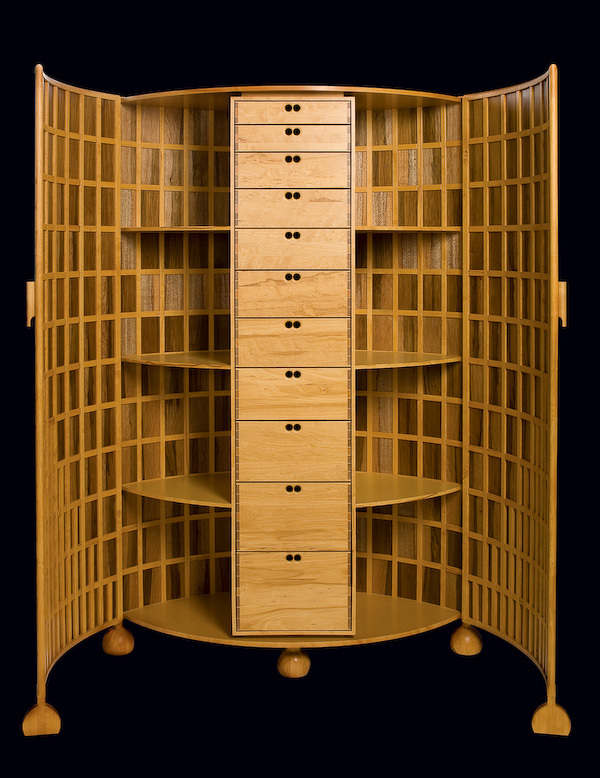 The only completed cabinet in a series of 8 cabinet designs that addresses the issues of conservation, exploitation and scarcity of materials. The cabinet utilises a semi-circular cross section that opens up to form part of a cylinder. The user approaches the free standing piece and views through the framed grid the many small panels that give the cabinet its curved surface. The wild grain of the timber has been composed to simulate the subdued grey greens of the natice bush.